Getting set for the first sail of the season? 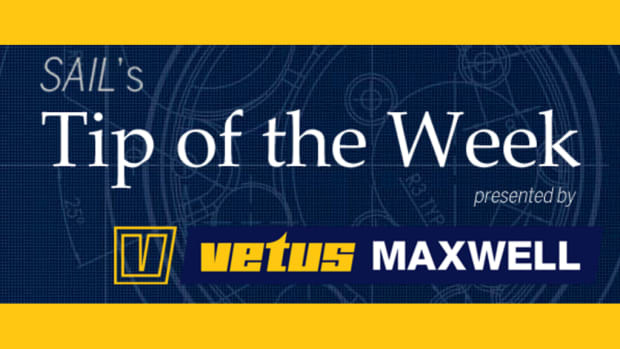 Here's a quick guide to getting the best out of your furling headsail. Unroll the sail completely and look up its luff. Adjust the halyard tension until the sail is perfectly smooth – you don’t want to see any horizontal wrinkles along the luff. Halyards can stretch under load, so crank another half turn on the winch. If horizontal wrinkles appear along the luff when you’re sailing, check to make sure that the halyard isn’t gradually creeping through a rope clutch that’s losing its grip; mark the line where it exits the clutch. When you’re setting up your genoa at the start of the season, try to choose a day when the wind is blowing no more than 10 knots or so. That’s a typical wind strength for much of the North American summer, so it will provide a useful baseline for your sail tuning. 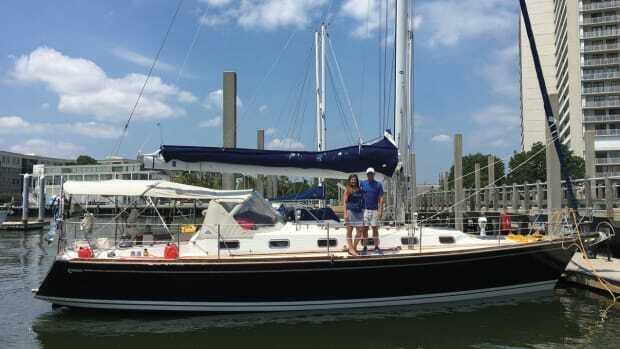 STEP 1: Bring the boat up to a close-hauled course. Now it’s time to determine the correct sheet-lead position. This determines the relationship between the foot and leech and is controlled by moving the genoa car back and forth on its track. STEP 2: Moving the car aft makes the genoa lead flatter and, for a given sheet tension, exerts more pressure on the foot. You can use telltales to gauge the correct lead position. Steer the boat close to the wind until the windward telltales start to break (fly unevenly). If the top ones break first, move the car forward a notch or two. If the bottom ones go first, move the car aft, a little at a time. The goal is to get all three sets flying evenly. Sometimes, on sails of a certain age or cut, telltales refuse to cooperate. In that case, just follow the steps below. Once you’re satisfied with the genoa car’s position, you need to mark it for future reference. You can do this with a piece of tape or a Magic Marker. Now you need to set the opposite genoa lead. The best way to do this is by measuring aft from the shroud base to the front of the correctly set car, and then repeating that measurement on the other track. This is safer than counting the number of holes from the end of the track – sometimes the holes do not match. This gives you a base point for finer trim; in light air, when you want more depth in the lower portion of the sail, you can move the car forward a couple of holes, and in stronger winds, when you want to depower the sail, you can move the car aft a little. This will increase the twist in the upper portion of the sail. You can experiment to see how moving the genoa car affects sail shape. Here are two typical scenarios. Problem: The leech is hard against the spreader tip, while the foot of the sail is 8 inches or more from the shroud. Problem: The foot of the sail is a few inches away from the shroud, but the leech of the sail is much farther from the spreader tip. Solution: Depower the sail by easing the sheet. Move the car forward one or two holes. Sheet the genoa in and sight up the leech to check that the sail is now the same distance from the spreader tip as the foot is from the shroud. If not, move the lead forward again by one or two holes until you find the balance between leech and foot. 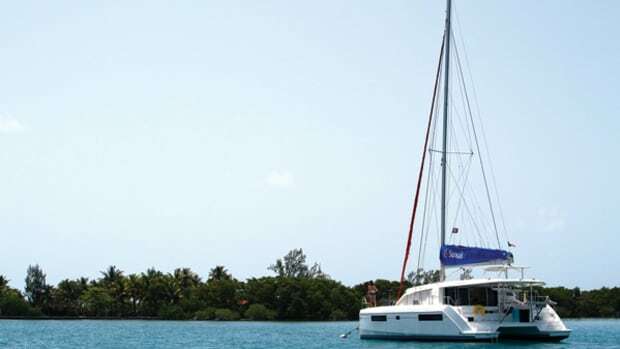 Which sail to reef first – genoa or mainsail? There’s no hard and fast answer to that one. 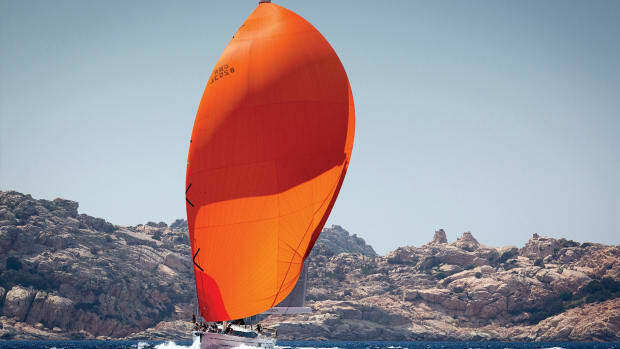 Some sailors and sailmakers recommend first reefing the sail that’s closest to the wind – genoa before main if going upwind, vice-versa if going downwind. It all depends on the boat. 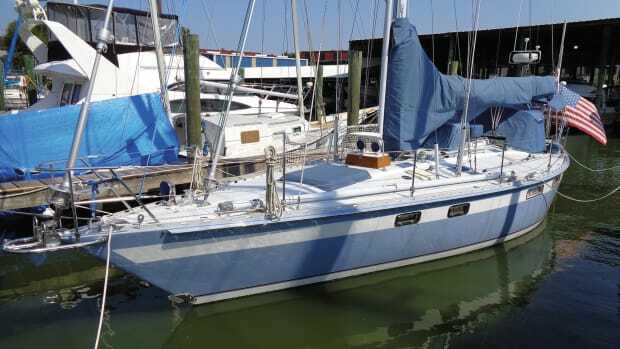 For example, a 1970s cruiser-racer like an Ericson 35, with a large genoa and small main, would benefit from a reduction in headsail area before the main is reefed, while the reverse would be true for a boat with a large mainsail and smaller foretriangle, like a modern J/Boat. The only way to find out what will suit your boat is to experiment – so go out on a windy day and practice. * Helps to balance the helm. The net effect is to make the boat more comfortable and safer to sail. To reef the sail, first ease the sheet to reduce the load on it, and then pull in the furling line. Make sure you keep some tension on the sheet while the sail is being furled.  You should be able to reef a furling genoa on a 40-footer by hand – be very careful if you are using a winch. Most furling headsails have reefing “buffers” and marks. The buffers are additional plies of sailcloth that help disperse the loads on the reefed sail. The marks are two or three lines found at the foot of the sail near the tack, each of which corresponds to what in the old days would have been a smaller headsail size. As each reef is taken in, the sheet lead needs to be moved forward in order to maintain the correct relationship between the leech and the foot. Now you need to carry out the same steps you used to optimize the sheet lead under full sail - move the car forward or aft until the sail’s leech and foot are in balance. When that’s established, mark the deck next to the track with tape or a permanent marker. Repeat with the opposite track. All roller furling headsails must have a protective sacrificial cover stitched along one side of the leech and the foot to protect the sailcloth from harmful ultraviolet radiation when the sail is furled. This covers can be made from a colored cloth like Sunbrella or can simply be another layer of Dacron; either way, it will need to be replaced from time to time. 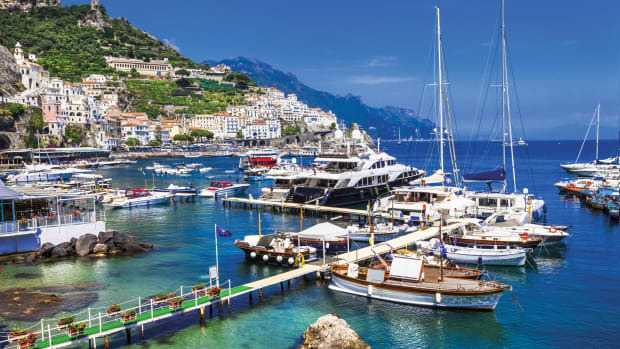 Because Dacron covers are light, they are favored by many performance-minded sailors, but they are much more susceptible to UV damage, especially in the southern states. Twist is a function of the change in apparent wind direction at the top of the mast; the sail&apos;s head is effectively on a different point fo sail from its foot. 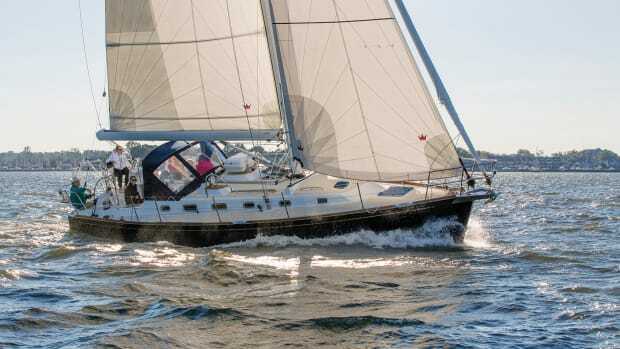 When you’re going to weather in a breeze strong enough that you’re tempted to reef the genoa, you can increase the amount of twist in the sail by moving the sheet lead aft. This allows wind to spill from the upper part of the sail, decreasing the heeling moment. Forestay and luff tension each have an effect on the shape of a genoa. Too much curve in the forestay makes the sail fuller, which is good when you&apos;re reaching or sailing in light air and need more power. But as the wind increases you want to flatten (depower) the sail to keep the boat sailing more upright. If you are increasing backstay tension, first ease the halyard a little so you don&apos;t overtension the headsail luff. Don&apos;t furl the headsail with too much tension on the halyard - or you may damage the furling gear. As the wind increases, you&apos;ll probably see wrinkles appear down the luff of the genoa. Harden up on the halyard until these disappear. Ease the halyard off a little before you leave the boat, so you don&apos;t permanently stretch the luff.